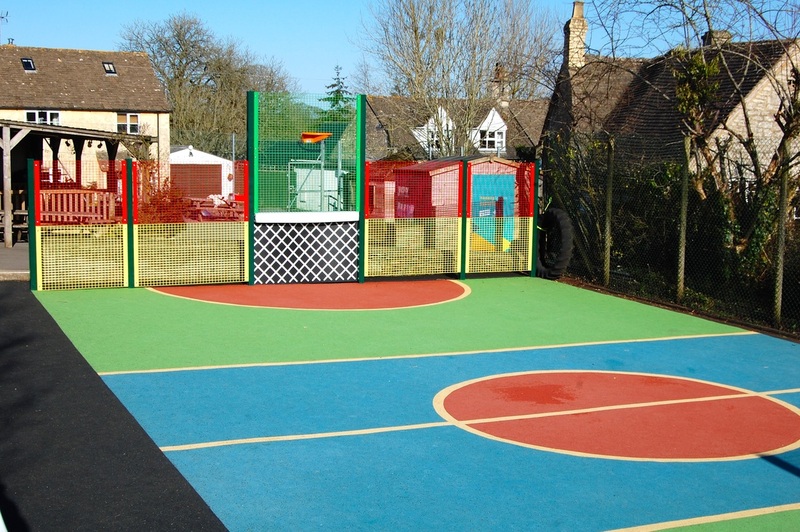 Thanks to the grant from Primary Spaces part of Sports England, we have been able to cover the part of the playground which is used for sports with a special activity surfacing, which not only provides a bright and clearly marked out pitch area for a number of games and sports, but also takes away the issues we had with puddles forming on the uneven surface and the lose grit making it slippery. 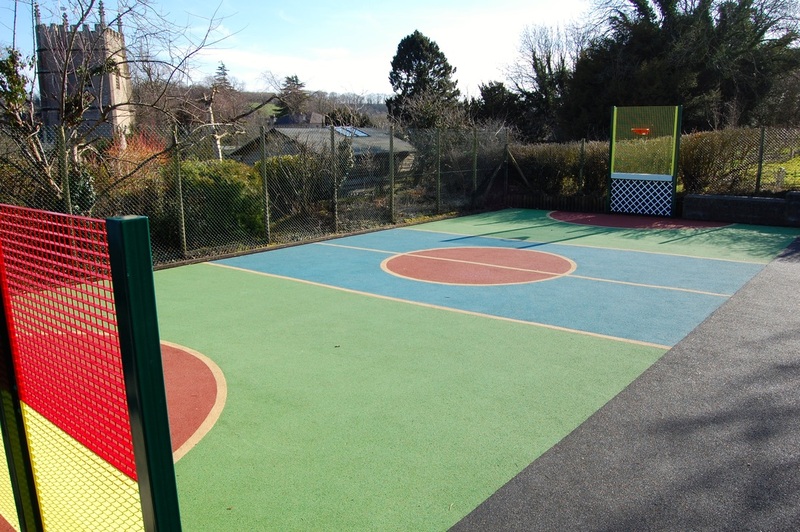 We have also had a fence put between this and the other side of the playground to stop stray balls going over, addressing the safety concerns of parents and staff. There are now permanent nets and goals, and a traversing wall along the side.